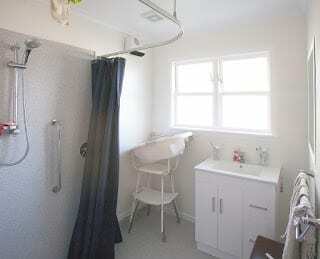 The Godwins had one cramped bathroom for six children and four adults and mum was seriously ill. The bathroom was in dire need of some repair work and the floor was collapsing. As much as the family tried to pool enough money for the necessary repairs, it was always beyond their means. 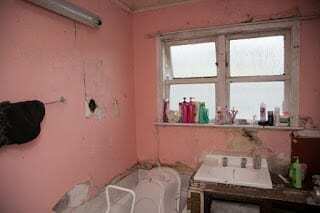 Caring for mum’s health needs and the needs of six children with the bathroom in this state was extremely difficult and stressful. 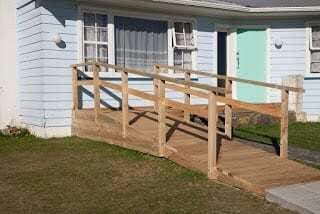 Through the A Brush with Kindness programme, Habitat for Humanity Lower North Island enabled this family to make affordable repayments to have the gaping hole in the floor fixed, a brand new disabled bathroom installed and a disabled ramp built to the front door. There is now space in the bathroom for wheelchair access and hospital equipment to make caring for mum easier and more dignified. Future plans include improving the laundry and upgrading the kitchen using a good-quality second-hand kitchen generously donated to Habitat. Three weeks of work has removed a drain on the family’s energy and time and has given them all – adults and children, sick and well – a safer and healthier home. Do you need A Brush with Kindness? The Godwin story is very typical of the kind of situation encountered by Habitat. If you own your own home (with or without a mortgage) and struggle to find the money for essential repairs and maintenance that are affecting your quality of life, we would love to hear from you. Perhaps this is not you, but you know of a family trapped in this predicament. We are taking new applications, so please contact the Habitat for Humanity Lower North Island office to have a chat about how our A Brush with Kindness programme can help.